Thanks! Super excited about it. Can't wait to get it back from the body shop so I can really start getting into it. Same. Always wanted to get a Scout, too. I need to win the lotto. Progress update! I've been slack about posting but work has been progressing on the Waggy. 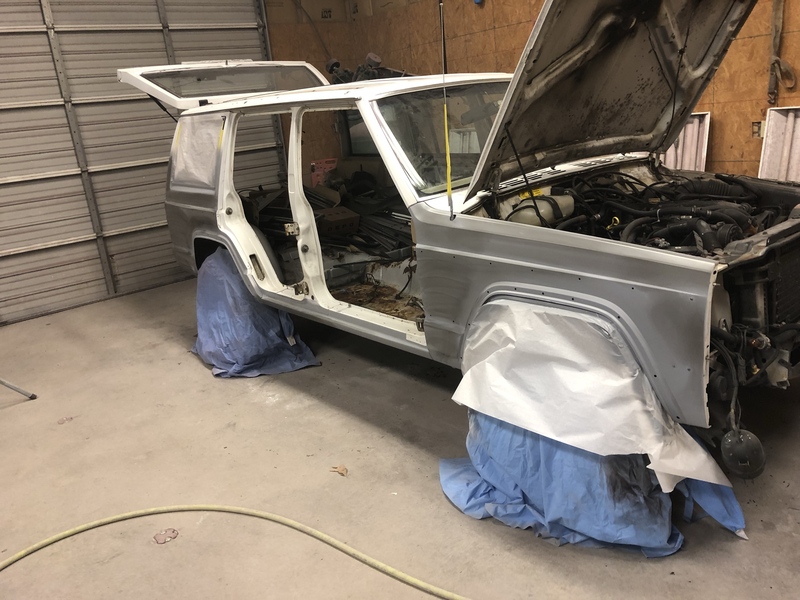 The front header panel is off and repaired, there's a new hood waiting to be installed, and all the exterior trim has been stripped. The top coat of paint has been sanded and the dents and other imperfections have been popped out or filled. We are getting close to prime and paint time. 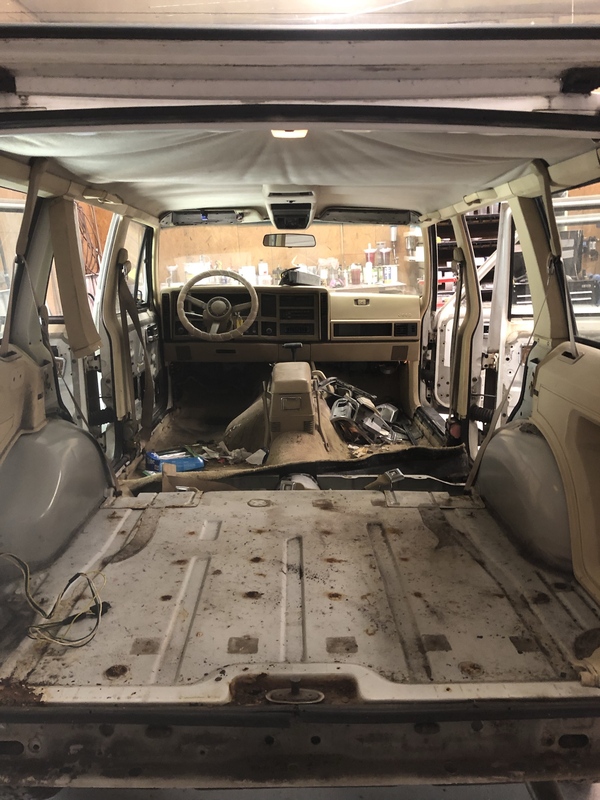 Went over to the shop yesterday morning and pulled the interior. Saves us time and $$$. Got a full view of the state of the body. 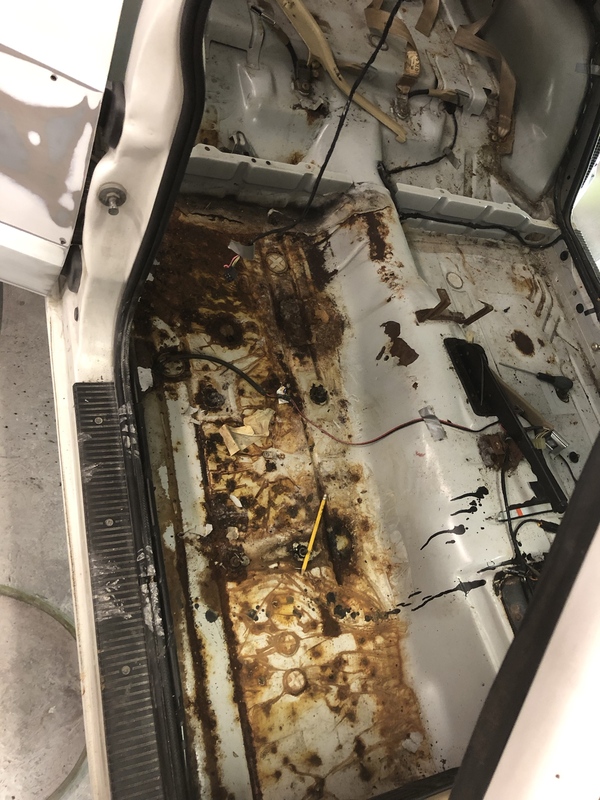 The passenger side is the worst of all with one rather large hole and a lot of rot. 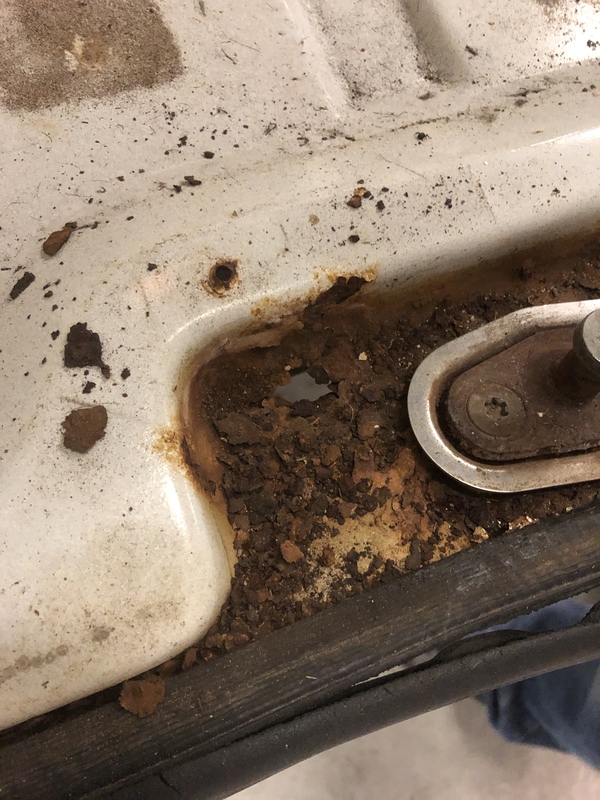 There's some rust around the striker for the tailgate that has gone all the way through. Discarded the carpet because it was ripped and torn and just generally nasty. I mean...nasty. That was nasty work. Did I say it was nasty? It was nasty. Full of bandaids and dead things and all manner of....nastiness. Even if it was salvageable, which I don't think it was, no thanks. There was some kind of make-shift cover on the front seat. 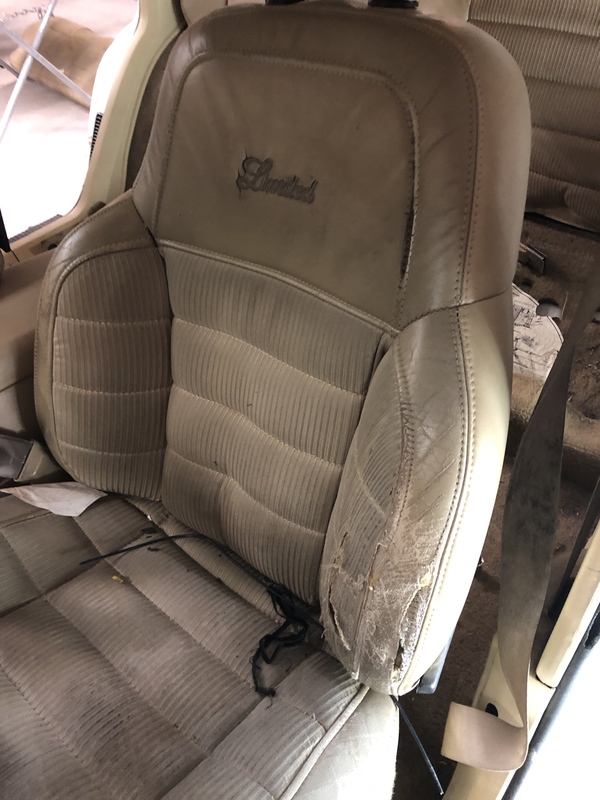 Removed that to see the underlying seat. Not in awful shape. Like everything else in the WW it needs some cleaning. 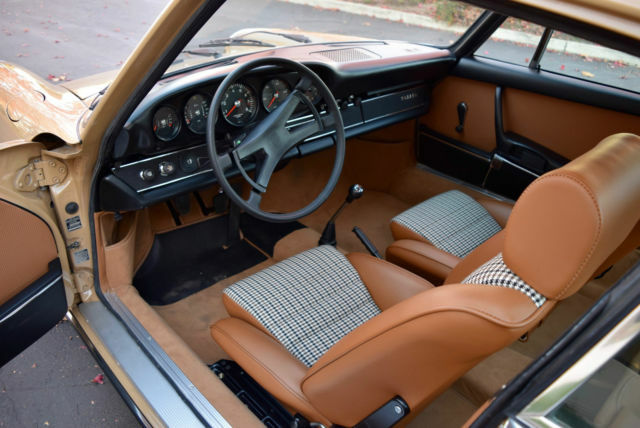 We'll likely reupholster it with something other than factory spec - assuming one can even find factory spec anymore - maybe plaid. 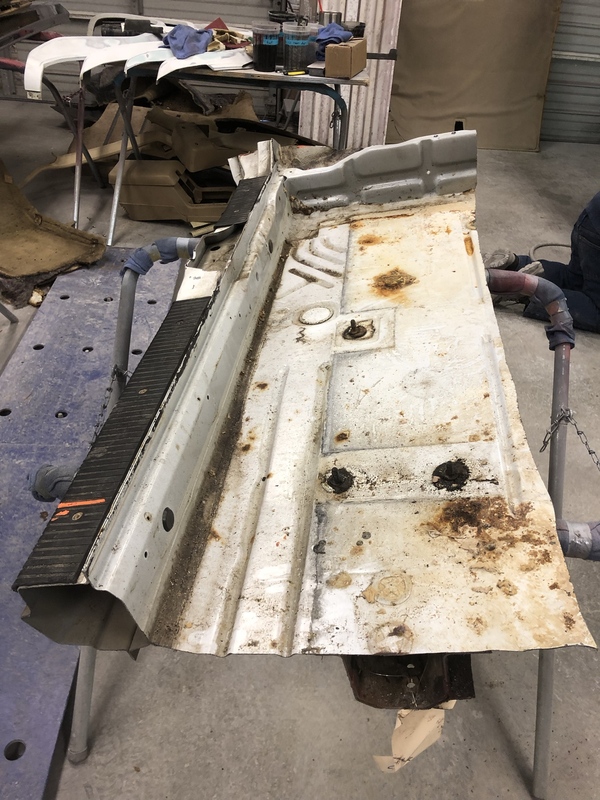 Overall, not counting the passenger side section, the metal appears to be in pretty good shape. 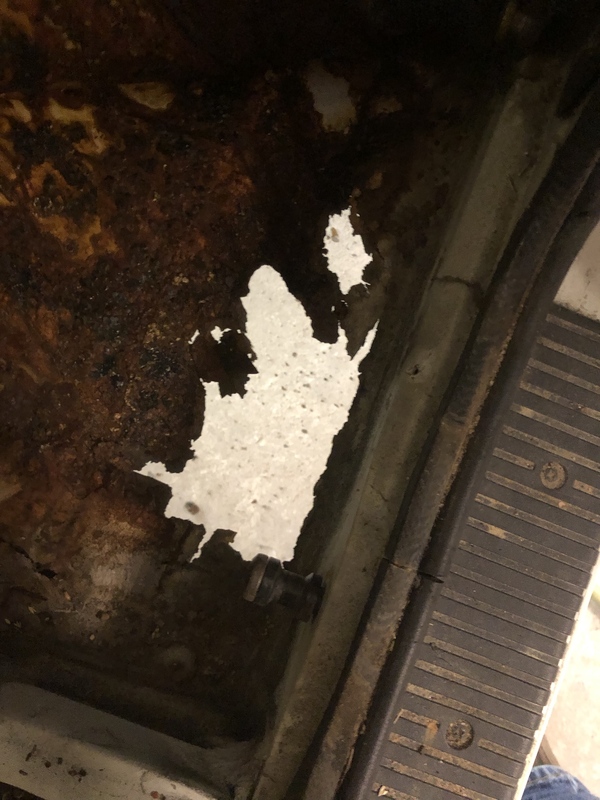 The roof was better than expected under the headliner as well. Those are probably the next intermediary project. All those trim pieces are filthy and need to be cleaned. It's clear the door panels got wet at one point, so we need to decide if we should keep them or try to replace them. There's a ton of other things we should probably do - preventative if nothing else. Window motors and the like could probably stand to just be replaced. 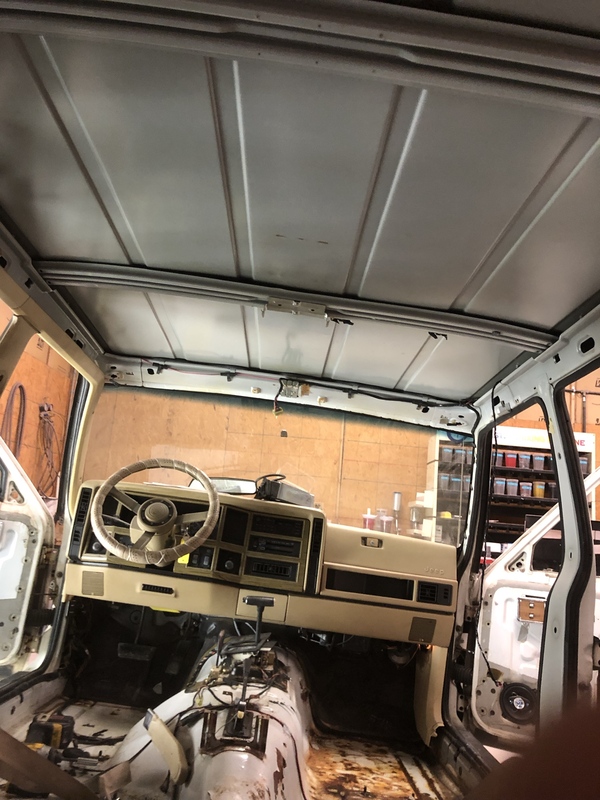 Humoring the idea of adding sound deadening and/or insulation while everything is out as well. 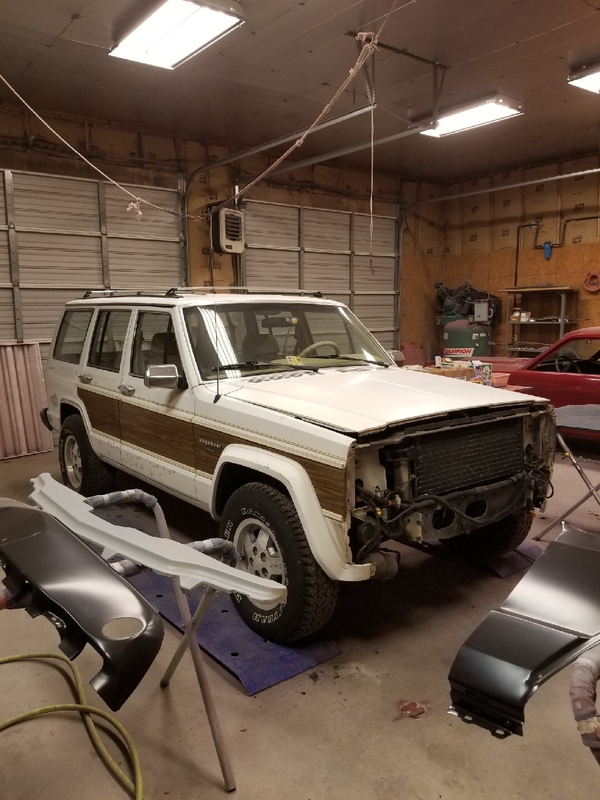 I did some when doing work on my '00 XJ. For it me it was part of my "Well while we are here" thing. More a turn up the radio kind of guy. Did a little write up. Have not done the floor yet. That is super helpful, thank you. I will most certainly be doing my research on it to see what the best way to go is. Hadn't thought about the vapor barrier, so glad you mention it there. Mine are gone (and out of mind until then). Obviously I'm doing this to increase mileage though. I am glad it helped. I tried to research this stuff. This was one of those there is no completely right or completely wrong way to do it things. And I don't like that. I like specifics. I poured over a bunch of info on the internet. Then just made a plan. As stated. "Right or wrong this is what I did". LOL. This was recommended to me by a friend. I tried to use it for something else but it did not work out as well as I wanted. I deliver for an auto parts store and dropped some of this stuff off to a customer. Out of curiosity I asked them what they use it for. That is when they told me they use it on the vapor barriers. When I did that work my vapor barriers had plenty of stuff still on there and would stick. But the fact that I already had some of this stuff and it never occurred to me that it could work for that kind of bummed me out. LOL. Forgot to mention. Putting it in the freezer before use will keep it more solid and less messy for a bit when using it. It will get all gooey and lose shape in warmer weather and from the heat from your hands. That stuff looks like Lizard Skin stuff that I have read about. Way more work then had intended to do. Lately I've been eyeing this product. Have heard a lot of positive stuff about it. Order as many compact rolls as you think you need with some water proofing to boot. I believe we'll have the Waggy back from the shop relatively soon, so it'll be time to start on all that stuff. 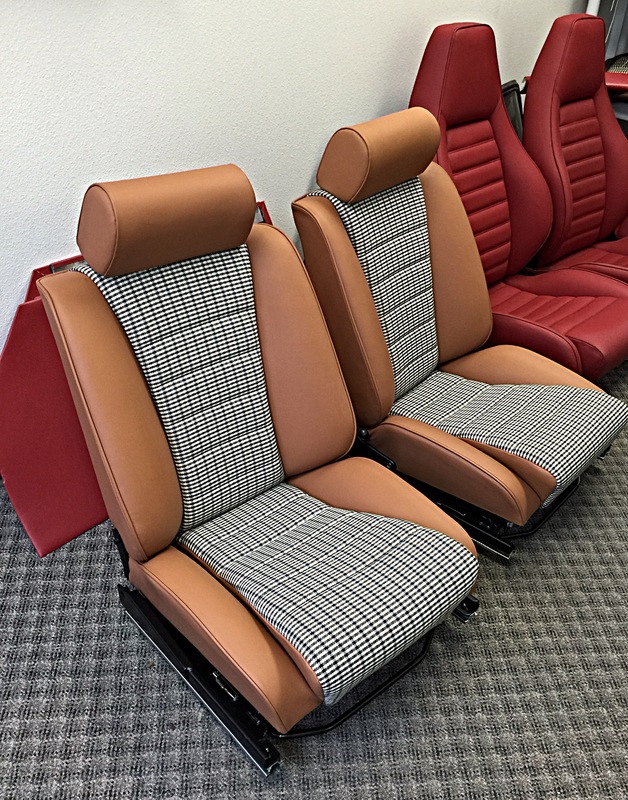 The plan so far for the interior is - in the scarcity of the original ribbed type cloth inserts for the seats and door panels - to recover/redo those with a plaid pattern of some kind. 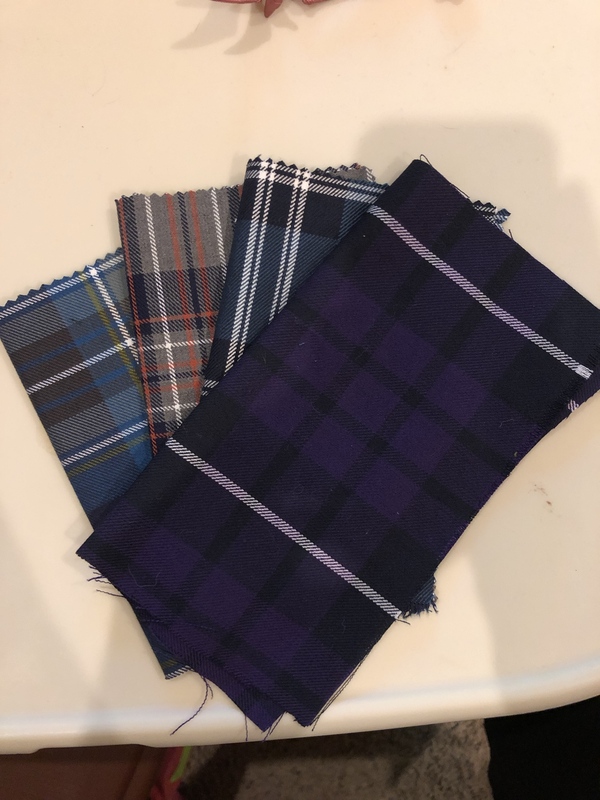 The fabric - if you pick the polyviscose variety for car upholstery - is thick and heavy and I think will hold up well. Of the below we're torn. We were learning towards the top swatch in the first picture, but it may end up being tan overkill. We may need to go more blue to offset the upcoming color of the Waggy. 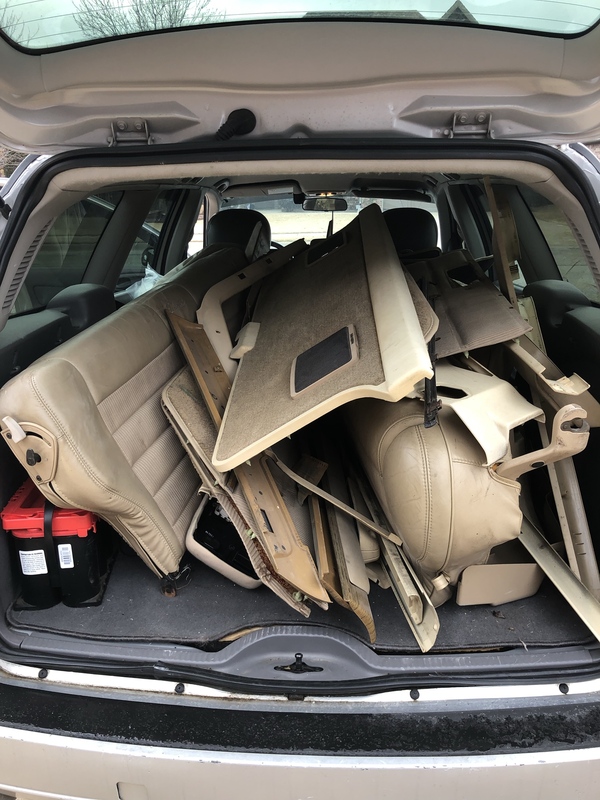 We just need to unload the interior out of my little wagon (whoops, only been a few weeks) and compare by eye. We're definitely not far from painting at this point. The WW has had some downtime as the resto shop has had some other projects come in, which is fine. We're not in a rush and honestly being flexible has helped save us a lot of money. 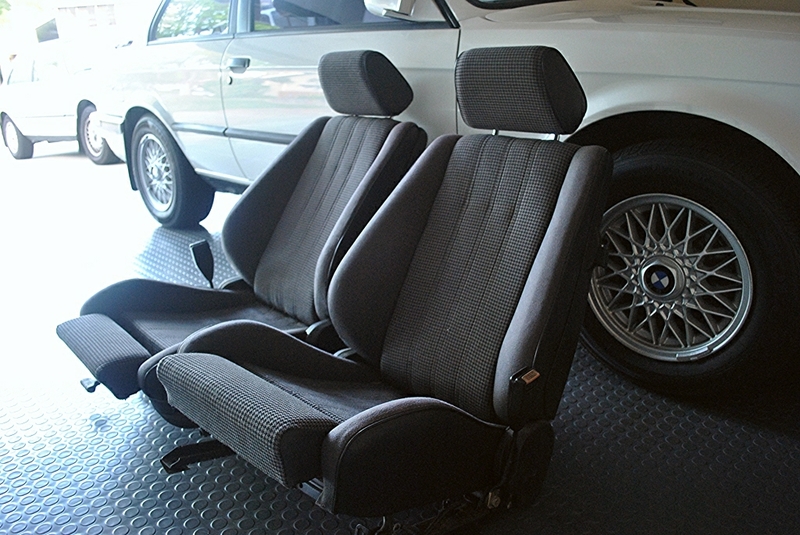 It also has given me time to do what I can on it while it's there and as time allows - like removing the interior, etc. Every little bit helps. The big dent in the roof has been fixed - where something apparently fell on it - and much of the hail damage on the roof has been mitigated. Lots of new parts in - new weatherstripping from http://www.teamcherokee.com, and assorted parts from eBay. Still on the hunt for a front grill as the current one has some broken slats. I may end up just epoxying them and cleaning it. 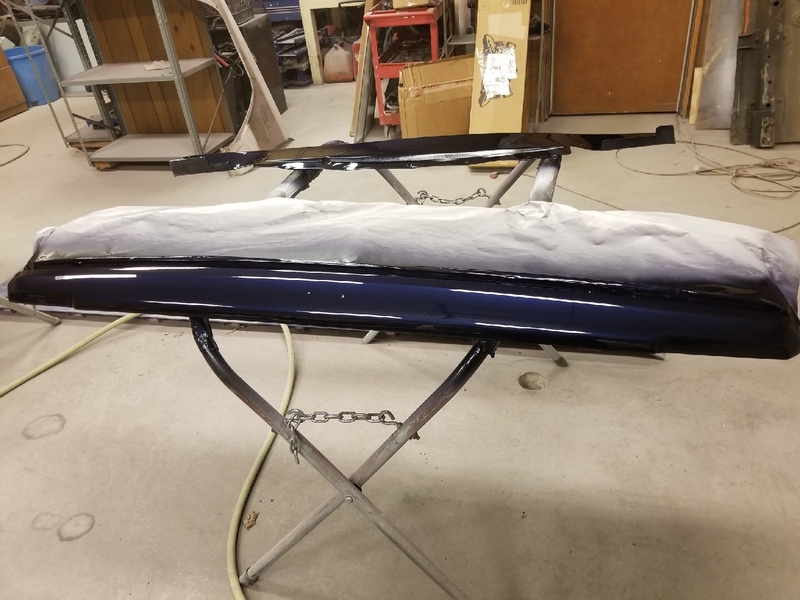 Part of the Waggy has been primered now, and a preliminary spray of the new color are below! Painting and the passenger floor are all that's left at the shop, then the WW will return to our garage/driveway. Moving along, moving along. P.S. - Forum newb apparently. Can anyone enlighten me as to what I'm doing wrong with picture linking here? I have Imgur set to auto resize images to 640x480, yet my images are still linking as huge. I'm linking using the insert image tool in the forums here. It's very annoying to me. I'm sure it's annoying to anyone reading as well. This thread is awesome. 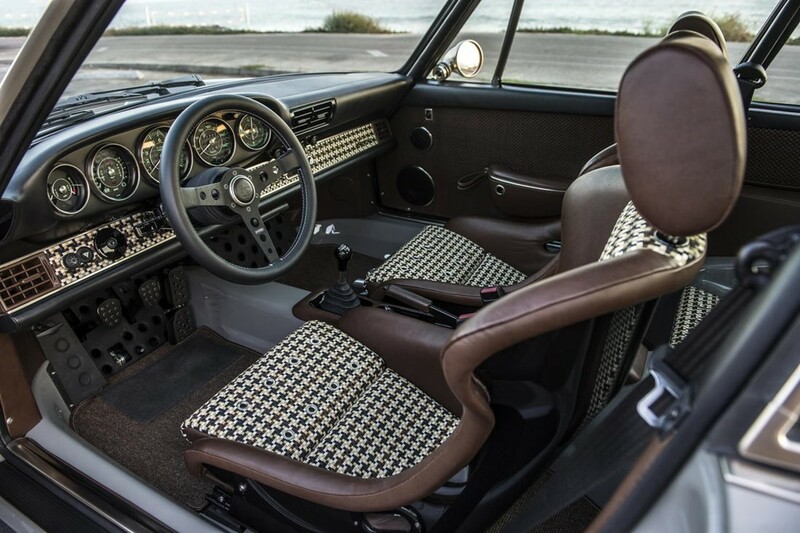 About your interior, I've seen a lot of people try the plaid pattern and it always comes out looking a bit off. 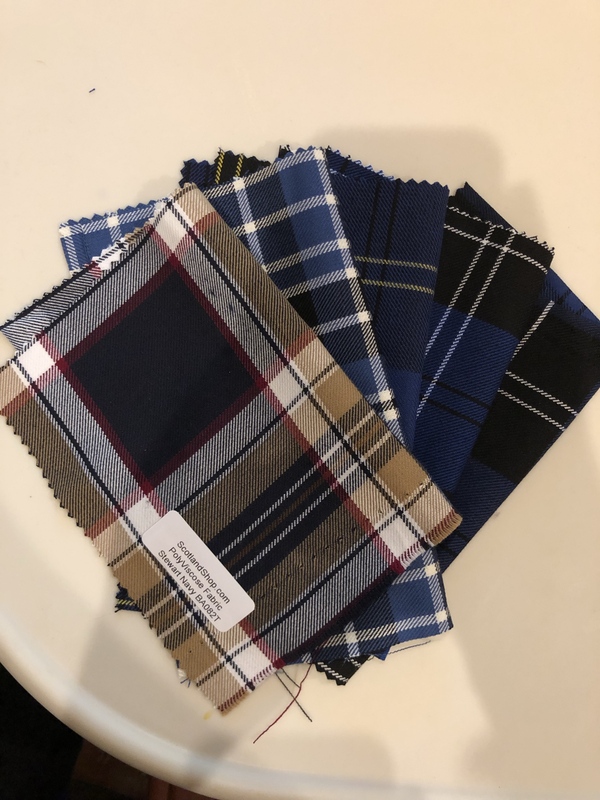 I would take a look at houndstooth cloth. 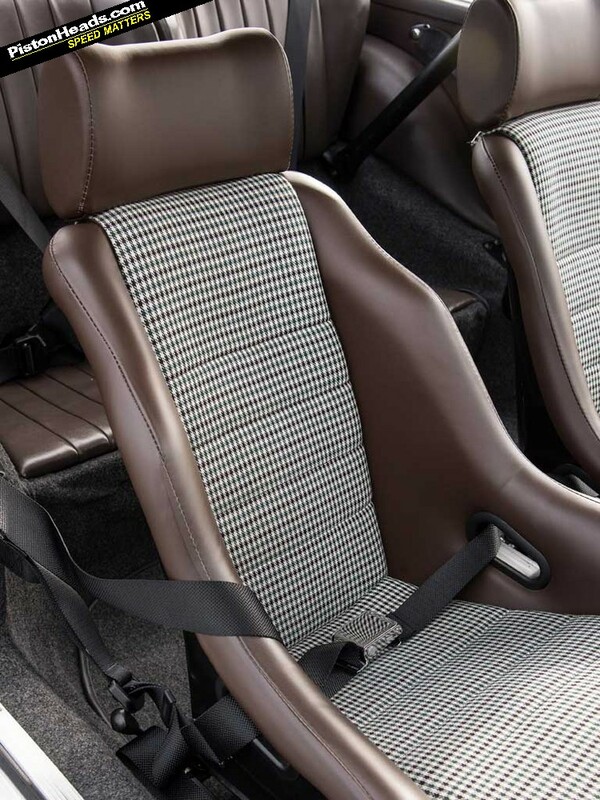 The pattern makes for some beautiful interiors that I think could work extremely well to the XJ.